This blessing deserves a post of its own!! Norah insisted this morning that I call the used furniture store where I bought my matched pair of recliners and ask if they wanted to buy them back. There is no room in her garage OR her house for them – deep sigh because we BOTH loved those recliners and spent many hours in them. So Steve, the buyer, came out to the house and looked at them and pronounced them buyable…so we introduced him to a lamp, three Oak World pieces: two curio cabinets and a media cabinet (that I used to store my vintage quilts in) and a pair of rattan rocking chairs. 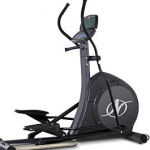 THEN, as an afterthought, the HUGE elliptical trainer that has lived behind my bedroom door for two years – and has been used…but it was BIG!! Bless Steve’s heart he bought the LOT!! Funnily enough – for Clark County Public Auction – where most of this stuff came from in the first place 🙂 What REALLY impressed me was that he took the “arms” off the trainer and then maneuvered it out of the house and into the back of his pickup all by himself! It took four guys to bring it into the house – and Steve was (and I hope he forgives me for saying this) not a young man! I am so thankful that Steve relieved us of having to move that furniture and that trainer around one more time AND he paid me cash so I have more dollars to take to KSA with me!